We all have seen what can happen when a computer crashes and valuable work is lost. Many people swear a few curses towards their PCs, but then resolve themselves to the idea that this is just “one of those things” you have to accept when it comes to dealing with computers. What if, however, those computers are touch screen voting machines and that lost data are votes in a national election? This is a question that faces Premier Election Solutions, the company formerly known as Diebold Election Systems, which recently admitted that a programming error in their voting equipment has been responsible for dropping votes in some of the Ohio counties that use the devices. According to the Columbus Dispatch, the company had originally claimed the issue stemmed from an incompatibility between software on the voting machines and anti-virus software installed to protect them. However, in August, the president of the company sent a letter to Ohio’s Secretary of State confirming that the problem is with a programming error that under the wrong conditions can lose votes when the system memory cards have their contents uploaded. Because the admission comes just a few months before the November election season, it’s unlikely that the programming error can be corrected in time. This has resulted in guidelines being issued jointly by Premier Election Solutions and Ohio Secretary of State Jennifer Brunner to Ohio counties on how to work around the issue in the meantime. The issues with the touch-screen voting machines raises another issue, though, which is how to handle what is a technical issue using the already understaffed polling station volunteers in Ohio. Equally important is the lack of tech-savvy volunteers willing to man those positions. This has lead to widespread calls for technically-inclined citizens, especially in Ohio, to reach out to their local Ohio County Board of Elections to help reduce the technology problems that may negatively impact every voter’s right to have their vote count. This story also serves as a good reminder for all of us to start the discussion in our communities about how much impact technology may play within future elections and how we can help our counties and states overcome those issues. I supplied several tips and received a name check for it, though I would point out that everything I contributed are absolutely things I tell my clients about. DSLReports has an entry up where they do the math on just how much you’re really paying for those cell phone text messages, now that T-Mobile has joined other providers in charging 20 cents per message. According to the math done by others, those 140 byte messages being sent at 20 cents each add up to $1,310 per megabyte. Considering that the average $20 USB flash drive these days is measure in gigabytes, and the average broadband Internet connection is measured in megabits per second, it’s amazing how much we pay per text message. 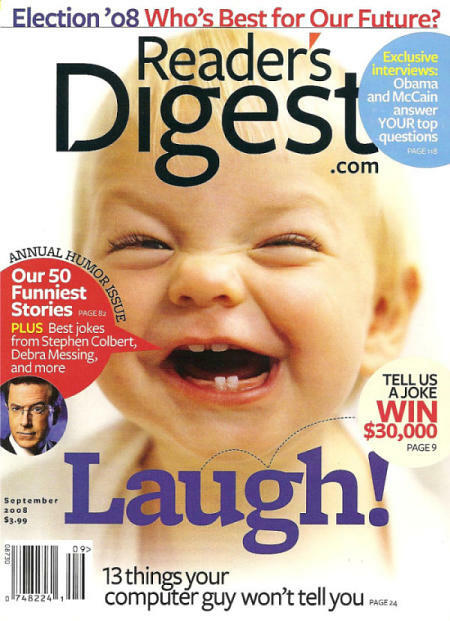 As for the reference in the title, it comes from articles on the idea that for the price you pay for the average inkjet printer cartridge, a gallon of printer ink would cost you over $5000. 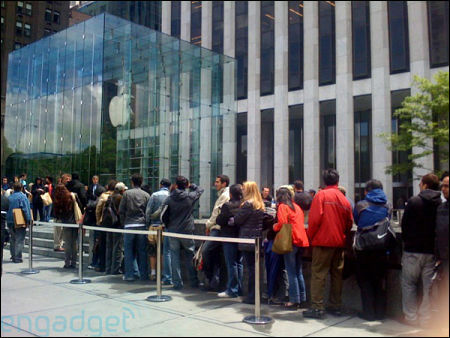 Engagdet.com is reporting that a line has formed at the 5th Avenue Apple Store for no official reason and has photos of the queue posted to prove it. While rumors about a 3G iPhone have become rampant across the Internet, it’s likely that this is, as one of the comments posted on Engagdet suggests, a stunt put on by Improve Everywhere.